DISNEY ON ICE DARE TO DREAM + TICKET GIVEAWAY! Hi friends! As you know, my family loves all things Disney. Not only are we avid annual passholders now, but the last few years, we also have been huge fans of the Disney On Ice productions! It’s like getting some of the best parts of Disney magic right in your own backyard. That’s right, it’s that time of the year, and I’m SO EXCITED to be partnering with Feld Entertainment as a Blog Ambassador once again when Disney On Ice presents Dare to Dream comes to the Amway Center here in Orlando from September 8-10, 2017. Liam is beyond thrilled to see his favorite Disney heroes hit the ice. His eyes especially lit up when I told him his new fav, Moana, would be there at center stage! I must admit that I am pretty stoked too! It definitely brings out the kid in me, for sure! I am super excited to be able to offer you, my readers, the opportunity to also be able to take your family. More on that, in just a minute. Disney’s Moana voyages onto the ice for the first time as Disney On Ice presents Dare To Dream, produced by Feld Entertainment Inc., brings courage and adventure to hometowns across North America. Hosts Mickey Mouse and Minnie Mouse bring audiences on an expedition across raging seas and snow covered mountains in this action-packed extravaganza featuring Disney’s Beauty and the Beast, Frozen, Tangled and Cinderella with other beloved Disney characters to help tell these extraordinary tales. Tickets are on sale now! Saturday, September 9 at 11:00 a.m., 3:00 p.m. and 7:00 p.m.
Sunday, September 10 at 1:00 p.m. and 5:00 p.m.
Tickets for Disney On Ice presents Dare to Dream start from $18. Market pricing applies to all tickets. Rates can fluctuate based on factors that affect supply and demand. Lock in your price and location today! All seats are reserved. Tickets are available at http://www.DisneyOnIce.com or http://www.ticketmaster.com, at any Ticketmaster outlet, by calling 800-745-3000, or at the Amway Center box office (phone for information only: 407-440-7900). For group ticket sales and information, call 866-248-8740. SAVE 20% OFF SELECT SEATS WITH CODE: SAVE20. NOT VALID ON PREMIUM VIP SEATING. HURRY FOR THE BEST AVAILABLE SEATS!! CODE EXPIRES SEPTEMBER 7, 2017. Ok, friends, I promised you a giveaway and here are the details…. Feld Entertainment is providing 4 tickets to one lucky reader of this blog!! Please note that this is for the Orlando showing of Disney on Ice presents Dare to Dream at the Amway Center and no substitutions can be made. Winner will be able to choose either the opening night show on Friday, Sept. 8th @ 7:30 pm OR Saturday, Sept. 9th @ 11:00 am. Contest runs today, August 16th through Monday, August 21st at 8:00 am. Winner will be chosen at random and will notified by reply to comments in this post. Winner must respond back to me with show choice no later than August 22nd or prize will be forfeited & another winner will be chosen at random. 1. If you do not already, please subscribe to follow this blog (Enter your email address on the “Follow Us” link on the left-hand side-bar of this page). 2. In the comments below, share with us what Disney character your family is most looking forward to seeing at the Disney On Ice presents Dare to Dream show! 3. Be sure to “like” Disney On Ice on their Facebook page or “follow” them on Twitter or Instagram to stay up-to-date on all the latest updates & offers for the show. 4. One entry per subscribed email address, please. That’s it! Pretty easy, right?!?! Everything about Disney is magical & I know this Disney On Ice presents Dare to Dream without a doubt will bring a lasting smile to my family’s face ❤ ….hope to see you there! — September 8-10, 2017. Remember, tickets are on sale now, and you can use code SAVE20 to save 20% off select seats! Get ’em before they are gone. Disney On Ice Fun — Follow Your Heart! We recently had an afternoon of family FUN as we enjoyed Disney On Ice presents Follow Your Heart at the Amway Center downtown. The show started off with a skating rendition of a hockey game to incorporate elements of Inside Out and the theme of Following Your Heart and doing your best. Riley made her appearance throughout the game and all the skaters were awesome! Liam LOVED it! It was very cool to see our favorite friends from Inside Out. Liam’s eyes definitely lit up when they came out! I’m pretty sure I said it last year, but my personal fav is Beauty & the Beast. I loved this rendition of ‘Be Our Guest’! Super excited for the live action movie next spring!! The Sorcerer’s Apprentice…we are big fans of watching this on Fantasia so it was awesome to see this on the ice. Finding Dory ….so fun & such a great movie. We can’t wait to add this to our home collection. Toy Story is one of our family’s all time favorites and the performance they did for the show was SO good! It was fantastic to see our favs Rex & Hamm come skating out….Liam jumped out of his seat for that! All the Disney Princesses came out throughout the show and did fantastic performances. Ariel from the Little Mermaid’s performance, though, was one that we couldn’t take our eyes off…. What a way to close out the show….Frozen! Such a great afternoon with my boys! Always wonderful memories made with Disney, and of course, little man did not take this crown off all day! Thank you to Feld Entertainment for this amazing opportunity for my family! DISNEY ON ICE FOLLOW YOUR HEART + TICKET GIVEAWAY! Hi friends! While there may be sweltering temps outside still, you can dream of icy cool relief when you are enjoying the magic of Disney on Ice! That’s right, it’s that time of the year, and I’m SO EXCITED to be partnering with Feld Entertainment as a Blog Ambassador once again when Disney On Ice presents Follow Your Heart comes to the Amway Center here in the Orlando from September 2-4, 2016. Liam is beyond thrilled to see all his favorite Disney characters hit the ice. I must admit that I am too! It definitely brings out the kid in me, for sure! I am super excited to be able to offer you, my readers, the opportunity to also be able to take your family. More on that, in just a minute. Disney On Ice presents Follow Your Heart is bringing Disney•Pixar’s record-breaking animated feature Finding Dory to the ice for the first time in this live production produced by Feld Entertainment. 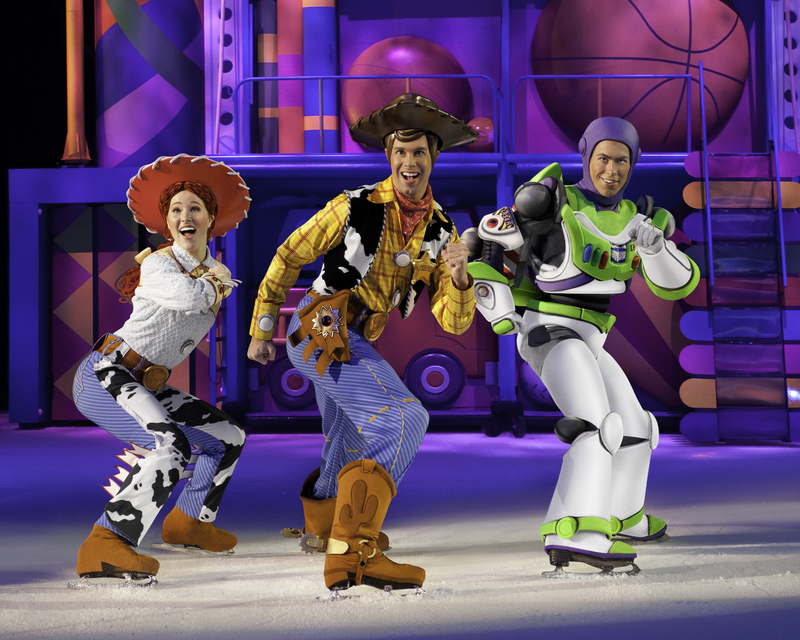 The ice skating extravaganza featuring Disney•Pixar’s Inside Out, Disney’s Frozen and other beloved Disney stories visits Orlando from September 2-4, 2016 for six performances at Amway Center. Tickets are now on sale! Saturday, September 3 at 11:00 a.m., 3:00 p.m. and 7:00 p.m.
Sunday, September 4 at 1:00 p.m. and 5:00 p.m.
SAVE 20% OFF SELECT SEATS WITH CODE: SAVE20. NOT VALID ON PREMIUM VIP SEATING. HURRY FOR THE BEST AVAILABLE SEATS!! CODE EXPIRES SEPTEMBER 1, 2016. Please note that this is for the Orlando showing of Disney on Ice celebrates 100 Years of Magic at the Amway Center and no substitutions can be made. Winner will be able to choose either the opening night show on Friday, Sept. 2nd @ 7:30 pm OR Saturday, Sept. 3rd @ 11:00 am. Contest runs today, August 12th through Friday, August 19th at 8:00 am. Winner will be chosen at random and will notified by reply to comments in this post. Winner must respond back to me with show choice no later than August 21st or prize will be forfeited & another winner will be chosen at random. 2. In the comments below, share with us what Disney character your family is most looking forward to seeing at the Disney On Ice presents Follow Your Heart show! Everything about Disney is magical & I know this Disney On Ice presents Follow Your Heart without a doubt will bring a lasting smile to my family’s face ❤ ….hope to see you there! — September 2-4, 2016. Remember, tickets are on sale now, and you can use code SAVE20 to save 20% off select seats! Get ’em before they are gone. Last Friday, we headed to the Amway Center for a night of family fun. Clearly, someone was pretty pumped about that…. It was a fantastic event & definite fun for the whole family. Be sure to check their schedule here to see if the show is coming to a city near you soon! Also check out my previous post here to catch up on a little bit of background for the show. I love the Disney On Ice shows because they remind me of the Ice Capades shows that I used to watch as a child. Having the opportunity to share these same kinds of memories with my little one is pretty special to me. Various Disney & Pixar movies were incorporated throughout the show. Obviously, Frozen made an appearance. I am not kidding when I tell you that the ENTIRE Amway Center sang along to “Let It Go”…..
Aladdin has always been one of my favs ….<3 you Genie! Liam was over the moon to see the gang from Toy Story 🙂 ….I didn’t get a good picture but before these guys came out, the army men did a little number that was awesome! All the kiddos (and adults, too….let’s not deny it, peeps) were thrilled to see the Disney Princesses skate out onto the ice. Definitely one of the more magical moments! Here’s a peak of the show’s finale …..ended just as good as it began! Such a great family night! We left with our hands full (popcorn, cotton candy, & a sword….lol!) and our hearts full of wonderful memories. Thank you to Feld Entertainment for this amazing opportunity for my family! The celebration of the century comes alive in Disney On Ice celebrates 100 Years of Magic Presented by Stonyfield YoKids Organic Yogurt. This monumental ice skating spectacular is coming to the Amway Center in Orlando from September 4-6, 2015 for six performances. Tickets are now on sale! Tickets start at $25. Also available at $30, $40, $60, $75 (VIP) and $100 (Rink side). (Ticketmaster service charges and facility fees not included.) All seats are reserved, and tickets are now on sale to the public. Tickets are available at http://www.DisneyOnIce.com or http://www.ticketmaster.com, at any Ticketmaster outlet, by calling 800-745-3000, or at the Amway Center box office (phone for information only: 407-440-7900). For group ticket sales and information, call 866-248-8740. Feld Entertainment is providing 4 tickets to one lucky reader of this blog. Please note that this is for the Orlando showing of Disney on Ice celebrates 100 Years of Magic at the Amway Center and no substitutions can be made. Winner will be able to choose either the opening night show on Friday, Sept. 4th @ 7:30 pm OR Saturday, Sept. 5th @ 11:00 am. Contest runs today, July 27th through Monday, August 17th at 8:00 am. Winner will be chosen at random and will notified by reply to comments in this post. Winner must respond back to me with show choice no later than August 20th or prize will be forfeited & another winner will be chosen at random. 2. In the comments below, share with us what Disney character your family is most looking forward to seeing at the show! 3. One entry per subscribed email address, please. Everything about Disney is magical & I know this Disney On Ice celebrates 100 Years of Magic Presented by Stonyfield YoKids Organic Yogurt without a doubt will bring a lasting smile to my family’s face 🙂 ….hope to see you there — September 4-6, 2015! Remember, tickets are on sale now, and you can use code MOM5 to save $5 off per ticket! Get ’em before they are gone. 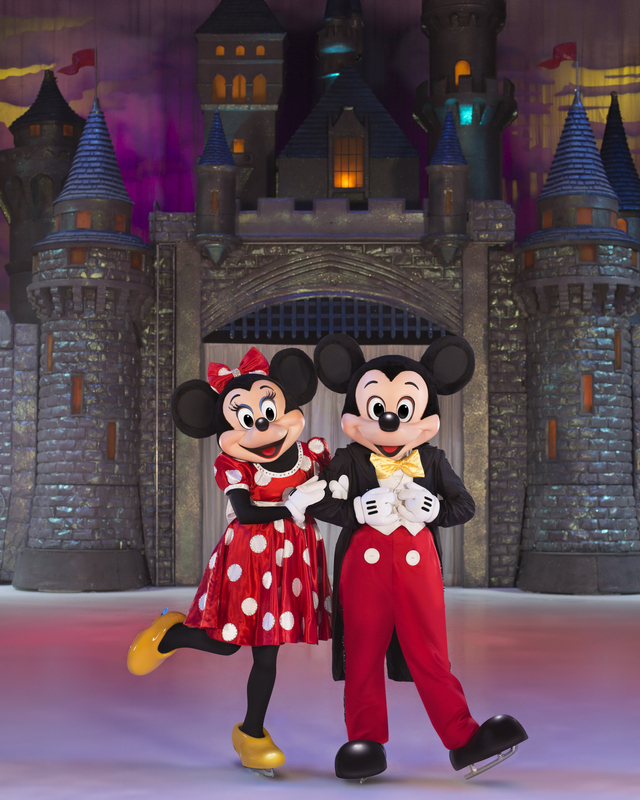 While the temps outside are heating up this summer, we can think ahead to a cool treat when we get to see all of our favorite Disney friends on ice at the Amway Center here in Orlando in September! My little one is going to be over the moon excited to see his pals Olaf & Donald Duck skating around the rink to the Disney tunes we all love ❤ ….Definitely sure to be a great show for the entire family & sure to make us all feel like kids again! Everything about Disney is magical & I know this Disney On Ice celebrates 100 Years of Magic Presented by Stonyfield YoKids Organic Yogurt without a doubt will bring a lasting smile to my family’s face 🙂 ….hope to see you there — September 4-6, 2015! Tickets are on sale now! Get ’em before they are gone.